Over the last couple of decades, the term ‘retirement’ stands redefined. Earlier, retirement would mean withdrawing from one’s active career or job upon attaining age of 58 to 60 years. However, ‘retirement’ nowadays also means cessation of routine work to start a business or relocate to another city, town or village to escape hectic lifestyles. In India, retirement benefits like VRS offered by Central and state governments and Public Sector Undertaking such as banks as well as private companies facilitate employees to leave service at earlier age in return for some pecuniary gains. Understandably, most people look forward to retirement. The main reason: The promise of spending leisurely life, away from mundane daily routine and hectic schedules. Generally, people in India retire when they have achieved certain objectives. Most common among these goals include buying a house, getting children educated, employed and possibly married and, when there are sufficient savings and adequate sources of income to ensure comfortable life. The most important element for retirees is ensuring adequate income. While some retirees may be fortunate to draw a pension, others may not be that lucky. Regardless of what category you come under, it is advisable to invest safely in pension plans for your retirement. And, the best time to start is NOW. With this objective, we suggest some new pensions schemes to put your money for highest returns, post retirement. Instead of putting your money into one or two schemes, we suggest you create a large and well diversified portfolio. This way, you are protected against any untoward aberrations and infarctions of the financial markets in India. Creating a diverse retirement portfolio also allows you to make your hard earned money work better and fetch you more profits rather than sitting idle in a traditional bank account. With increasing competition in offering investment products, Indians are now spoilt for choice when it comes to choosing the right products for putting their cash into. Hence, we provide some options you may wish to consider. Here are some of best pensions plans where if invest regularly, will give you a good retirement life. We have also shown you some investment options for your retirement planning. 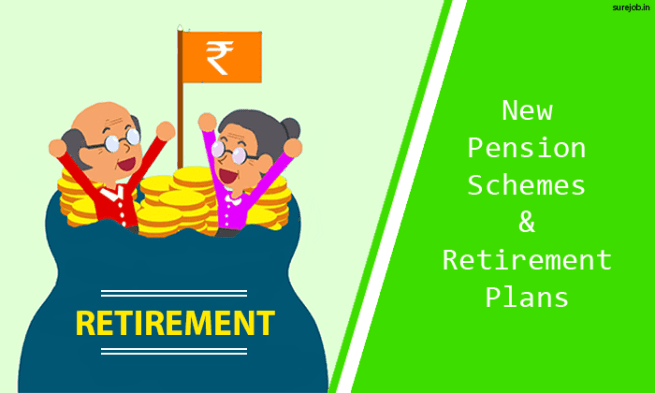 By far, Atal Pension Yojana launched by the Indian government for financial year 2015-2016, is the best option for investing safely for retirement. All Indian nationals aged between the age of 18 and 40 years can invest in Atal Pension Yojana. This pension scheme assures a minimum pension of Rs. 1,000 and maximum Rs.5,000 per month to subscribers upon attaining the age of 60 years. The amount of pension paid depends upon monthly contributions made by the subscriber. For example, a female or male enrolling for scheme at the age of 18 years will pay Rs. 42 per month till they attain the age of 60 years. Upon attaining 60 years, they will receive a monthly pension of Rs. 1,000. However, a person aged 40 years will pay Rs. 291 per month for 20 years to get a pension of Rs. 1,000 per month. The amount of contribution varies according to the age of the subscriber. Meaning, older subscribers will pay more. In event of the death of the subscriber, her or his spouse will continue to get the pension amount. Following death of the spouse, their nominee will be entitled to receive the amount till accumulated till the subscriber’s age of 60 years. In case the subscriber dies before attaining 60 years of age, the spouse or nominees have options to either exit the scheme and claim invested money immediately. Alternatively, they can maintain the scheme by paying monthly contributions to the APY account till the date when the deceased subscriber would have attained the age of 60 years. The spouse will get the pension amount till death. Nominees will get the amount invested by the subscriber till attaining 60 years of age. Salient features of Atal Pension Yojana are: there is no upper age limit till when the subscriber or their spouse can receive the pension. Further, the amount invested is inherited by nominees of the subscriber and spouse. All eligible Indian nationals can apply for APY through any Public Sector Undertaking (PSU) bank and select state-run financial institutions. APY is regulated by the Pension Fund Regulatory and Development Authority of India (PFRDA). The Indian government contributes 50 percent of your subscription into your APY account. However, you cannot opt out of the scheme before attaining 60 years of age. Further, defaulting on monthly payments attracts nominal penalties. Regardless, this is the best pension scheme for investing safely for retirement. For a very low investment, you get very high returns. Additionally, the entire amount invested is paid to your nominees upon your and your spouse’s demise. This LIC pension plan will be available to senior citizens up to May 31, 2018 only. Pradhan Mantri Vaya Vandana Yojana was initially launched in October 2017 by Prime Minister Narendra Modi. The scheme is administered by Life Insurance Corporation of India (LIC). Women who have attained minimum age of 58 years and men who are 60 years old or more can avail of Pradhan Mantri Vaya Vandana Yojana. It is a forerunner to the earlier Varishtha Pension Bima Yojana. There are no upper age limits for entry to Pradhan Mantri Vaya Vandana Yojana. Senior citizens who invest in this scheme get an interest of eight percent per annum from LIC. It was launched to provide a buffer to senior citizens against falling interest rates in the Indian financial sector. Senior citizens have to purchase the scheme by paying a lump-sum of Rs. 150,000 to avail monthly pension of Rs. 1,000 for a period of 10 years. 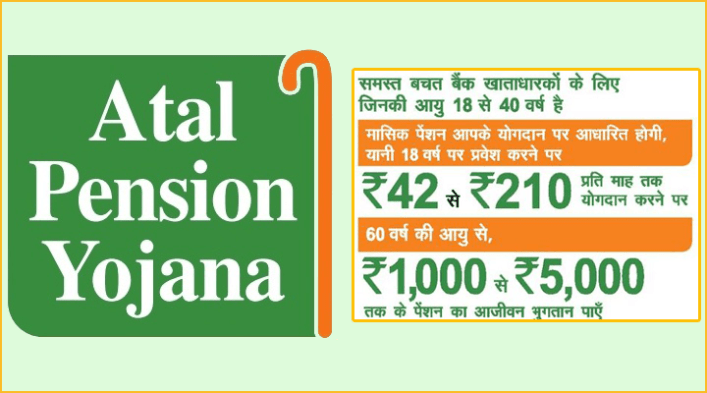 The maximum investment in Pradhan Mantri Vaya Vandana Yojana is limited to Rs.750,000 that fetches you a monthly pension of Rs.5,000. Pension is paid on monthly, quarterly, half-yearly or annual basis, as selected by the subscriber. Upon completion of 10 years, you receive the invested amount along with the last pension installment. No interest is payable on the invested or purchase amount of this scheme, since LIC has already paid it in the form of monthly pension. In the event of the subscriber’s death before completing 10 years of the scheme, the entire purchase amount is paid to the legal beneficiary. Since Pradhan Mantri Vaya Vandana Yojana is offered by the Indian government and the country’s premier insurer, LIC, it is a great option for investing safely for your retirement. However, there is some debate over the interest rate of eight percent offered by Pradhan Mantri Vaya Vandana Yojana. Experts in India’s financial sector aver, the interest rate is lower than other pension schemes offered by the government and Indian banks. The flip side is, pension earned attract Income Tax under existing law for senior citizens. Senior Citizen Savings Scheme (SCSS) is open to all Indian citizens who are above 50 years age, following a revision in rules implemented by the Central government in October 2017 fore retired personnel of Indian Armed Forces and state employees. However, this pension scheme is not available for Non Resident Indians or institutional investors like Hindu Undivided Family (HUF). SCSS is a very popular mode for investing safely for retirement. Firstly, it allows you tax benefits. Secondly, it is very secure since SCSS is operated by the Indian government. Thirdly, it offers annual 8.6 percent interest, which is higher than most other savings plans currently available in the financial market. You can open an SCSS account at any Public Sector Undertaking (PSU) or nationalized bank in India or at a post office that offers financial services of India Post. To subscribe for SCSS, you should be an account holder with the bank or concerned post office. The account can be opened either singly or jointly with a spouse or progeny. SCSS accounts have maturity of five years. The scheme can be extended for a period of three years, post maturity. The maximum amount payable into is currently Rs 1.5 million. However, there is no lower limit. Amounts below Rs.100,000 can be deposited into an SCSS account by cash. However, deposits above Rs.100,000 have to be through cheque only. For every retiree investing in SCSS, providing proof of funds is compulsory. Meaning, you need to prove your funds come from retirement benefits. Early retirees have to invest the amount within 30 days from receiving the money. SCSS comes with a lock-in period of five years, to earn the full 8.6 percent interest benefit. However, if you opt for withdrawing between 12 and 24 months of investment, the bank or post office levies a penalty of 1.5 percent of your amount. Post 24 months, the penalty charged for premature withdrawals is one percent. However, no penalties are charged in event of death of the account holder before the five year maturity period. If you do not withdraw funds deposited into your SCSS account post the five year maturity period or without availing extension, it continues to attract interest. However, this rate will be lower and according to prevailing interest paid for regular savings accounts by banks and post offices. There are no limits on the number of SCSS accounts you can hold. However, total deposits in SCSS accounts should not exceed Rs. 1.5 million. Additionally, SCSS accounts allow you great portability. Meaning, you can transfer your SCSS account to any branch of your bank or post office, in the event of relocating to another city, town or village. The portability has no impact on maturity of the account. As account holder, you will be issued a passbook that explicitly mentions your investments. Your record will be updated at the end of each quarter of a financial year to reflect the interest paid by bank or post office. SCSS account holders get tax exemption under Section 80C of India’s Income Tax Act. Before reaching retirement age, you can safely invest in Monthly Income Scheme (MIS) offered by India Post, through over 150,000 branches across the country. From July 1, 2017, India Post offers a healthy 7.5 percent interest rate on MIS, calculated monthly. The maximum permissible investment for individuals is Rs.450,000 and for joint account holders, Rs.900,000. MIS has a maturity period of five years. However, the flip side is, MIS does not offer any tax advantage: All interest earned through MIS is currently taxable. However, there are certain fringe benefits: The monthly income earned through this scheme can be directly credited into a Recurring Deposit account held at the same post office or transferred to another bank. However, transfer to other bank facility is available only from post offices that are connected to the Core Banking Solution (CBS) network. Alternatively, the monthly income can be utilized to buy other savings products such as 15-year Public Provident Fund account, Kisan Vikas Patra and National Savings Certificate. These savings options offer you tax benefits and hence, you can save considerably while making the money work. MIS scheme of India Post is excellent if you are wish to accumulate a large amount for your retirement. Kisan Vikas Patra or KVP is an excellent scheme if you plan to start young and invest safely for retirement. KVP is also a savings product offered by India Post and the Government of India. KVPs are available in denominations of Rs. 1,000, Rs.5,000, Rs.10,000 and Rs.50,000. There are no upper limits on the amount of money you can invest in KVPs. The amount you invest in Kisan Vikas Patra doubles in 115 months. This means, stashing away a modest Rs.5,000 every month at the age of 50 years fetches you a monthly income of Rs. 10,000 at the age of 60 years. For those starting younger, the advantages are greater since they can save a lot more through this very safe scheme. You can buy KVP singly, jointly with spouse or children or on behalf of minors. Certificates can be bought from any post office in India. Further, KVP allows portability- meaning you can transfer your holdings from one post office to another, without loss of maturity. Additionally, it you can also transfer the account holding without impacting maturity and loss of interest. Income from the scheme qualifies for tax benefits under Section 80C of the country’s Income Tax Act. The Indian government and India Post regularly issue the latest schemes of National Savings Certificate (NSC). They provide an excellent way of investing safely for retirement. NSCs are available for as low as Rs.100 each and in denominations of Rs.500, Rs.1,000, Rs.5,000 and Rs.10,000. National Savings Certificates have a lock-in period of five years. They earn you compounded interest of 7.8 percent per annum, payable upon maturity. For example, a NSC worth Rs 100 will fetch you Rs.145.58 after five years. NSCs can be bought from any of the nearly 150,000 post offices in India. You can invest as individual or jointly with spouse or children. NSCs can also be transferred once during their five-year tenure. Investments made in NSC are exempt from tax under Section 80C of India’s Income Tax Act. However, the interest you earn is exempted from taxation provided you reinvest in other similar schemes. Should you have a smaller income and wish to save for retirement, NSCs provide an excellent option. You can stash away as low as Rs 100 per month and reinvest the amount you get after five years in other schemes for higher returns. Also ideal for those who wish to start young is Public Provident Fund, commonly called PPF. Nowadays, PPF accounts are available from all nationalized banks, select cooperative and private banks as well as post offices across the country. Rates of interest however vary sometimes between PSU banks, post office, cooperative and private banks. We recommend PPF accounts for younger investors, since they have 15-year duration. They come with a 7.8 percent compounded annual interest, through post offices. PPF accounts are ideal for everyone, regardless whether you draw a small salary or mini-fortune. Any individual can open a PPF account with an initial deposit of Rs.100. However, the annual contribution has to be minimum Rs.500 into this account per annum. A maximum of Rs.150,000 can be credited into a PPF account during a year. You can open the account by paying cash for amounts below Rs. 100,000. However, deposits in excess of Rs. 100,000 have to be made by cheque post demonetization in November 2016. However, there are certain riders for opening a PPF account. Nomination facilities are available and you can bequeath your account through a legally endorsed will. Premature closure is also not permitted before 15 years. Instead, PPF accounts allow you to take loans from the third financial year of operation provided there are no court orders or verdicts to attach them. Additionally, partial withdrawals of funds are permitted after the seventh year of operation but subject to loss of interest. In case of loss of income, you can continue the PPF account without paying further installments. However, upon maturity, you will get only you investment plus interest at the stipulated rate. Deposits qualify for deduction from income under Section 80C of Income Tax Act. Further, all interest earned is also exempt from taxes, under existing laws. With dropping interest rates, some sheen is lost from Fixed Deposits or Time Deposits as they are also called. However, Fixed Deposits (FDs) are also a vital component of any long-term plan for investing safely for retirement. Currently, post office pays compounded interests ranging from 6.8 percent to 7.6 percent per annum depending upon the term of FDs. Interest rates from nationalized, cooperative, private and foreign banks vary and are subject to revisions by the Reserve Bank of India. The interesting part of FDs however is, senior citizens can get extra interest rates. Additionally, women senior citizens are offered a slightly preferential rate of interest by some banks. There are no upper limits for opening an FD account, and they be held singly or jointly. FDs have a rider: While your investment is exempted from taxation, interest earned can attract taxes, depending upon several factors. Generally, banks allow the option of Tax Deduction at Source (TDS) for FD holders. However, if you qualify for complete tax exemption, you need not exercise the TDS option but need to mention your holdings while filing Income Tax returns. Here we use the broad term SIP because various financial institutions have different expanded abbreviations for this investment scheme. SIPs can be called Systematic Investment Plan, Secure Investment Plan or Small Investment Plan, depending upon the financial institution you buy them from. Regardless, SIPs allow you to invest a fixed amount at regular intervals- weekly, fortnightly, monthly, quarterly, half-yearly or annually- depending upon the provider. SIPs allow you to invest in mutual funds without the hassle of subscribing to them individually. All you need is issue standing instructions to the bank where your salary or income is credited to debit a fixed amount and credit it into the SIPs you subscribe. In exchange for your money, you are allotted a specific number of units of mutual funds calculated on basis of Net Asset Value (NAV). As your investment grows, more units get credited to your account. Over a shorter period of time, the value of your assets rises considerably. SIPs come with several inherent benefits. Firstly, they allow disciplined savings- meaning, the amount is directly debited from your account leaving you lesser money to squander. Secondly, SIPs are flexible: you can discontinue from a scheme anytime without affecting your NAV. Thirdly, Rupee-cost averaging and compounded interest means you earn much higher returns on your investment. Beginning third quarter of fiscal 2017-2018, the Indian government is actively promoting mutual funds as an ideal investment option for economically weaker segments of the society too. Print, TV, radio and digital media blitz by the government informs the Indian populace about the advantages of investing in mutual funds with as low as Rs.500 to the short lock-in periods that allow withdrawals in case of emergencies. Mutual Funds (MFs) are indeed high return investments. However, you need to comprehend, MFs work on stocks and equities markets in India. MF providers invest your money on stocks of all types of companies- from blue-chip to underperformers and through Initial Public Offerings (IPOs). While banks and financial institutions that offer MFs do provide some hedging against stock market uncertainties, there are no guarantees that your Mutual Fund investment will provide you a specific return. You may be lucky enough to see your MF value rise if stock markets are bullish and drop when the trend becomes bearish. Mutual Funds can constitute some part of your retirement plan portfolio. If you are looking for assured returns, look for other options. You can understand more about mutual fund on MutualFundsSahiHai.com. Stock markets provide a great opportunity to earn a daily income. You can open a Demat account at any bank and manage your stocks through a broking house. Alternatively, you can trade online in stocks listed on the Bombay Stock Exchange (BSE). However, stock trading is not for everyone. Firstly, you will need astute understanding and knowledge about how stock markets work. Secondly, you also require in-depth study about trends of various industries, such as IT, pharmaceuticals, Fast Moving Consumer Good (FMCG), banks, insurance firms, infrastructure and a plethora of others. Thirdly, you will also need to spend time on your computer for online trading daily. Stock markets in India are somewhat unpredictable. Political developments, scams, international events and a host of other factors cause upward (bullish or downward (bearish) movement of stocks. For example, a share you bought today at Rs. 500 may sell for as high as Rs 600 the same day or following day. However, sometimes your share worth Rs. 500 may slide to a low of Rs.400 on others. Regardless, there are several institutes nowadays that offer basic and advanced training for people who wish to trade on stock markets. While such coaching provides you with some ideas about trading, you will require loads of homework before you actually enter this field. There are no upper investment limits on stocks. Sales of stocks are however subject to taxes, regardless whether you earned profits or accrued loss. One of the preferred ways to invest in stocks is by subscribing to Initial Public Offerings (IPOs) floated by companies. Normally, IPOs offer shares at lower prices since they are yet to be listed on the stock exchange. If you are comfortable with dealing in stocks, include them in your retirement portfolio. In India commodities trading is yet to reach its full potential. Commodities market trades in precious metals gold and silver. Other metals such as copper also feature among commodities, alongside crude oil, food grains, oilseeds and myriad other items. Prices of these commodities swing according to supply and demand and are also dictated by political conditions, international events and other issues. Training in commodities trading is also available through coaching classes. Similar to stock trading, dealing in commodities also requires accurate knowledge about the market and understanding about how the trade and commodities exchanges work. The Indian government and its organizations regularly issues various bonds. For example, in recent years, the Reserve Bank of India issued a series of Gold Bonds. Various bonds are also issued for development of infrastructural projects. Generally, the Indian government offers an eight percent compounded interest on all its bonds. Investments made on Indian government bonds are free of tax. However, in some instances, you may be liable to pay taxes on interest accrued. You can buy these bonds from any Public Sector Undertaking/ nationalized bank or designated financial institutions. State-owned and private insurance and investment companies nowadays offer a wide range of retirement plans. These retirement plans also called pension policies or pension plans, allow you to invest a fixed amount annually for a certain number of years. Some companies allow you to start a pension plan even at the age of 55 years, despite the widely acceptable age for retirement in India being pegged at 60 years. Pension plans are good for investing safely for retirement. Yet, you need to take a pension plan or retirement policy while young. This ensures you pay lower premiums and can avail of higher returns. A wide range of pension plans are available in the market. However, there are some debates over the actual value they deliver to policy holders. Some financial experts aver, better investment plans are available while planning for retirement. Others argue, such plans assure the subscriber of a fixed monthly income or lump-sum amount of money at time when other sources of funds become extinct. A lot of fine print involved in pension plans or retirement policies render them too complex for laypersons to understand. Unfortunately, agents working for insurers and financial institutions offering such policies often fail to explain various nuances, disclaimers and other critical information that may adversely impact a retiree. In most foreign countries, gold is not considered as viable investment that gives high returns. In India though, investments in gold are an altogether different ballgame. A lot of people, especially Non Resident Indians working in the six Arabian Gulf states- Bahrain, Kuwait, Oman, Saudi Arabia, Qatar and United Arab Emirates buy 24 karat gold chips and gold biscuits as investment. This is because 24k gold rates in these countries are marginally cheaper than India. Resident Indians invest in 22k gold jewelry both for use and as asset. Gold prices in India are always on upward swing, especially during festive and wedding season. Additionally, almost every major bank in India offers loans against 24k gold chips and 22k gold jewelry at fairly low interest rates. The lower interest is because the value of your loan is offset by the collateral you have kept. Banks are aware they stand to make profits if they forfeit your gold collateral due to default in repayment of loan installments. However, include gold as a portion of your portfolio while investing safely for retirement. The reasons: Gold can be sold immediately for cash in case of emergencies or to counter unexpected high expenses. Banks and financial institutions also offer almost instant loans on gold collaterals. The only flipside is, you need to store large amounts of gold jewelry or chips and biscuits at safety lockers that banks provide for an annual rent. Real estate has always been a preferred investment among Indians. However, post demonetization in 2016 and crackdown on ‘black’ money- meaning money earned through illegal means or accumulated by evading tax- has caused a slump in this otherwise hyperactive market. Schemes such as Pradhan Mantri Awas Yojana that plans to offer some four billion economical dwelling units across India to low and middle income groups have also dealt a blow to the real estate market. Real estate prices in India have somewhat stagnated as a result of these steps. However, for young investors, this is the right time to buy a house as well as invest in more real estate, provided you have sufficient funds or can avail loans either singly, with spouse or siblings. Buying a spare apartment is a great investment while retirement planning . Depending upon the location, you can lease it out on ‘leave-license’ basis for 11 months and avail of a fixed income in the form of rents. Cash deposits paid by tenants can be invested in Fixed or Time Deposits at banks and you get to retain the interest. Alternatively, you can convert the apartment or house to offer ‘Paying Guest’ accommodation. Real estate prices in India are not expected to slump, at least in the predictable future. Hence, this is a safe investment option while planning for retirement. However, investing in real estate requires a lot of money. The most common concern of retirees is health. Understandably, several decades of work combined with hectic lifestyle and the natural ageing process tend to impact one’s health adversely. You can get some hedging against emergency expenses on healthcare and medical expenses for spouse and yourself by availing a medical insurance policy. Nowadays, several nationalized banks offer medical insurance policies in collaboration with state-owned insurers, at very competitive rates. Alternatively, you can avail of health insurance from any reputed insurer. Ensure you read the fine print since a lot of medical insurance policies come with something esoteric called ‘Exclusions’. This means, you will not be covered for certain medical problems. Others cover only basic ailments for the first three years and so on. Another great way to hedge your retirement is by opening a small business. Such a business keeps you fruitfully engaged and prevents boredom. It also imparts a sense of being useful in the community and keeps you physically and mentally active. As we elaborate, it is best to start investing safely for retirement while young. As the old axiom goes, income minus savings should be the expenses. Saving now and investing in the right manner can help you lead a happy and fruitful retired life. Further, you also get confidence at work when you are subconsciously aware that future is secure. It imparts a sense of wellbeing to your family, spouse and above all, yourself. Before you embark on any investment or pension plan, keep yourself well informed about the latest offerings. This will help you subscribe to schemes that offer the best returns. Old age comes with loads of uncertainties. As traditions fade into history, senior citizens can no longer look to their children to care for them when old. Living with dignity involves financial independence. And such freedom can come provided you start planning and putting away cash for this inevitable stage of human life. It is worth noting that most old-age homes nowadays operate on purely commercial basis. These homes for senior citizens also have to meet rising costs of food, healthcare and utilities, among other expenses. There are a few charitable organizations that provide the service either free or at highly subsidized rates. Unless you intend living in one of these facilities, it is best to begin investing safely in best and new pension schemes.